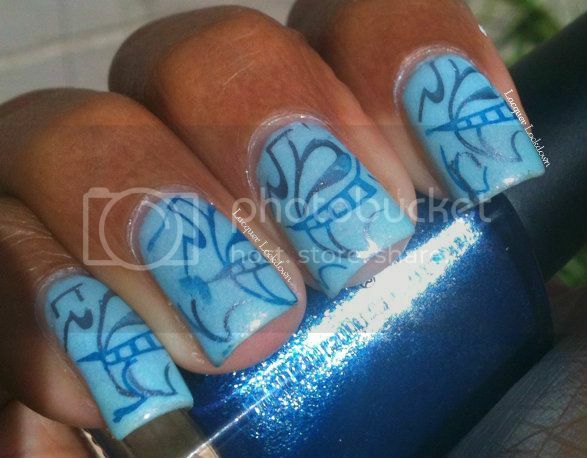 Lacquer Lockdown: Abstract Shades of Blue...On Sundays I Stamp! 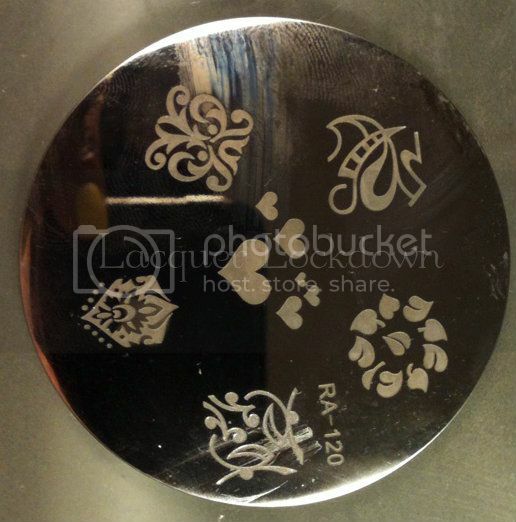 Time for another Adventures in Stamping post! I'm just gonna jump right in - the theme for this week was using your favorite new stamp. Saaaayyyy what? Lol - yeah that's a tiny problem for me because I've gotten a lot of new plates recently including my Red Angel plates which arrived this week (stay tuned for the QC post). So I decided to take these out for a spin this time around. I also had to do a big chop to my nails since I snapped the middle one on the way out the door yesterday - boo! Alas they will regrow and in the meantime I can use my smaller image plates without a need for double stamping which kinda rules. I think this is so cute and easy! I started with Sinful Colors Cinderella as the base color. 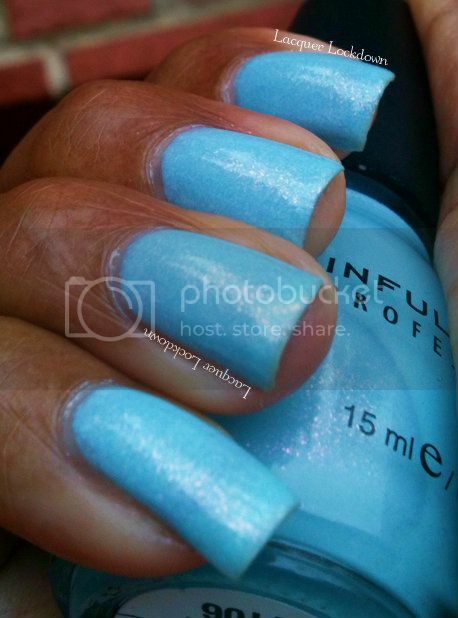 Cinderella is a beautiful blue sheer polish filled with bits of iridescent pinkish red and gold microglitter. By itself it's a gorgeous polish, but it also worked well as a backdrop for my abstract manicure. FYI, in case you didn't know Sinful Colors will be on sale for .99c at Walgreens til 7/28 so take advantage and pick up some lovelies on the cheap! 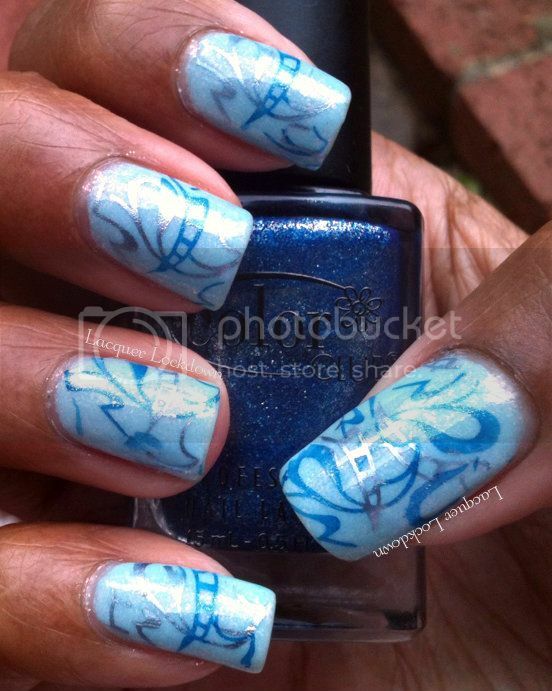 I used plate RA120 and stamped using Essie Blue Rhapsody and Color Club Cold Metal. 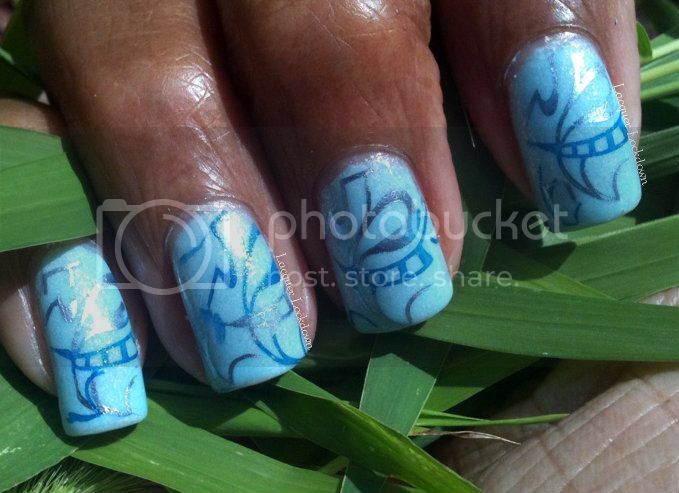 This type of stamping where you are sectioning out colors within a single stamp is my favorite kind of nail art. It requires a bit of attention, but when executed correctly has cool payoff. Omo - a little too much glare here, but I was trying to capture all the shimmer fro the 3 different polishes. The look ends up very simple the overall effect is complex because of the "layering" within the stamp along with the use of a metallic and foil nail polish on a cream base. I like to think of it as a "texturized" mani. You can see all the pretty pink sparkle from Cinderella rising underneath the stamp - cool beans! Thank you sweets and yes I agree blues are awesome!